We are looking for qualified professional telephone interpreters! New Zealanders welcome migrants and so we should. Migrants make a significant contribution bringing culture, colour and vibrancy to New Zealand. They also contribute skills, knowledge, experience and capital. They support existing businesses or start their own. They also bring connections, expertise and interesting views and ideas which contribute to the richness of our communities. In the past 6 months, the Office of Ethnic Communities has continued its work helping migrants who have chosen New Zealand as their new home. 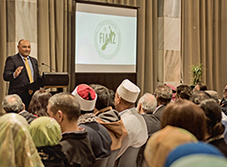 The Office of Ethnic Communities organised the 5th EPIC conference held in Auckland last May. 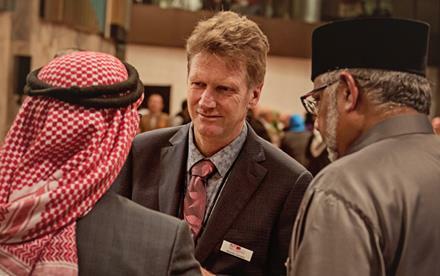 More than 400 delegates from around New Zealand and overseas attended. New Zealand’s economy is largely dependent on international trade. So it was encouraging to see people making connections and exchanging ideas that will help us unlock the economic and social benefits of diversity for New Zealand. The new round of the Ethnic Communities Development fund has just closed. It was open to any not-for-profit group and provides funding for leadership development, social cohesion projects and cultural events. This fund better supports the on-going and often long-term settlement process for people and communities. The Office of Ethnic Communities’ Language Line passed a significant milestone receiving its 500,000th call in August. The interpreting service receives around 1,100 calls each week from individuals and organisations including the New Zealand Police, ambulance services, Work and Income, Housing New Zealand and Inland Revenue. It plays a key role in responding to the needs of New Zealanders with English as a second language. It is one of a number of services which help them settle in to life in New Zealand. I also released the Heritage and Community Language Celebration Guidelines earlier this year. These will help increase language celebrations which in turn help preserve important cultural links. In a recent update I commented on an article by Thomas Friedman in the New York Times. In commenting on the recent Brexit vote in the UK as weathervane of opinion about immigration, Friedman argued that the issue before us is not one of immigration, but one of integration. In New Zealand we can and do support migrants to develop the sense of belonging that is so important to effective integration and to becoming New Zealanders. I wanted to mention a couple of initiatives that I have become aware of recently, as great examples of the many ways that we can be and are welcoming of migrants. The first of these is The Neighbourly Morning Tea - to be held over Labour Weekend. This is an initiative by Multicultural NZ through its member associations in cities throughout NZ. This great initiative invites you to bring together your neighbours and host a Neighbourly Morning Tea - to celebrate all the cultures that come together to make New Zealand a great society. You can hold the event any time over Labour weekend - just visit Multicultural New Zealand to register and they will email you a welcoming pack with information on how to hold your Neighbourly Morning Team, including invites you can print off for your neighbours, as well as a supply of tea and coffee from their sponsors. This is a great way in which at a local level we can be a welcoming community. I was also asked recently to write a foreword for a booklet soon to be published by Volunteering Wellington called Getting to Know Each Other - Connecting with Community, which tells of the experiences of migrants who have become involved in volunteering in the Wellington community. In my foreword I have talked about the importance for new migrants to develop the networks and connections that are so important to navigate successfully in a new community - from using the bus, to finding and becoming part of parenting groups, through to finding a job... The publication will be released later on in the year. Volunteering provides an important pathway by which migrants can develop these critical networks, - and at the same time the donation of their skills and time through volunteering makes a significant contribution to their communities in so many important ways. We are really pleased with the response to the new Ethnic Communities Development Fund. A number of excellent requests have been submitted. The fund has now closed. The Office of Ethnic Communities is now putting together a panel of 4 to 6 members to consider the requests for funding. The panel will bring a range of community and government perspectives to the decision making. We aim to have decisions out to groups at the end of November. In closing this month's General Manager’s Column I thought I would signal a development in upcoming editions of the OEC Newsletter. I think this newsletter can and should provide opportunities for other voices to be heard on issues of ethnic diversity in NZ. I have asked Dr Anwar Ghani, a leader from the Muslim community in Hamilton, to be the first guest columnist and to write an article with his thoughts on ethnic diversity issues in New Zealand. You will see this appear in a future edition of the Newsletter. Language Line interpreters provide support to members of the community accessing a wide range of services. Previous experience interpreting from English to your chosen language and your chosen language to English is essential. If this sounds like you, please see the online vacancy for further information. Applications close on 2 October 2016. 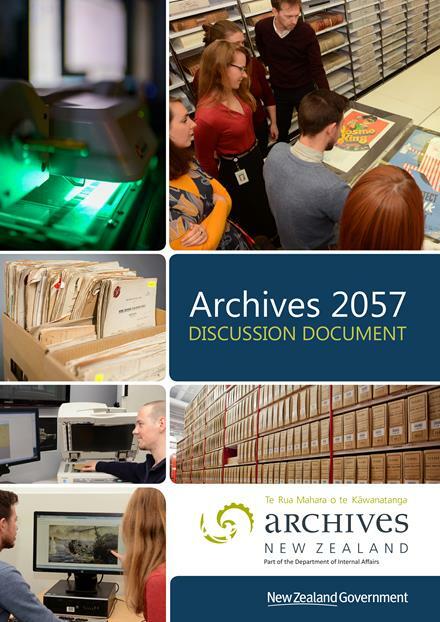 Archives New Zealand is the institution responsible for caring for, and facilitating access to, the records of government – and this is important for all communities. There is a strong connection between good recordkeeping and open and transparent government. Full, accurate, trustworthy and accessible records are needed for government to be held accountable. This month we supported the Office of Hon Peseta Sam Lotu-Iiga in hosting the annual Eid parliamentary reception. Eid ul-Adha is Islam's holiest festival celebrated annually around the world and an official holiday in Muslim-majority countries. It is also known as the Feast of the Sacrifice, celebrated to commemorate Abraham’s willingness to sacrifice his son for God. Eid ul Adha marks the end of the annual Hajj to Mecca. 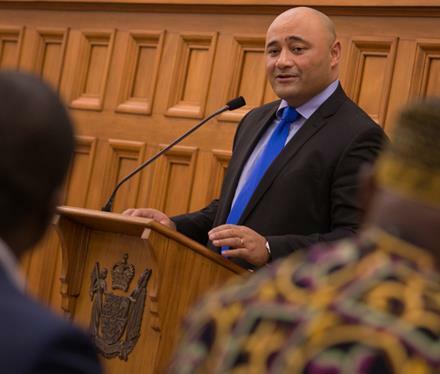 “Eid has been celebrated at Parliament now for 11 years and every year it demonstrates our government’s continued commitment to recognising and respecting New Zealand's cultural and religious diversity,” says Mr Lotu-Iiga. The Eid ul-Adha parliamentary event was attended by members of parliament, diplomats, public officials and Muslim community leaders representing diverse range of ethnicities and communities. The event also featured inspiring and entertaining performances and speeches from representatives of the Muslim community. Please join us this Labour Weekend to celebrate New Zealand’s cultural and ethnic diversity and the contribution to our communities made by migrants, new comers and refugees, by hosting a Neighbourly Morning Tea. As Neighbourly members we invite you to bring together your neighbours by hosting a Morning Tea to celebrate all cultures that come together to make New Zealand a great society. When you register you will be provided with everything you need to host a morning tea including, tea and coffee from Bell Tea Company and how to contact local people who will provide cultural input. Your guests are asked to make a donation. This fundraising event is to celebrate Multicultural New Zealand and its member associations who promote the economic and cultural contributions made by migrants, newcomers and refugees. Multicultural New Zealand is a registered charity – CC36978. To register your event please visit Multicultural New Zealand. The registration will ask for your name, postal address, email address and your intended morning tea time. We will also seek your permission to post your first name and city location only on the Neighbourly Morning Tea facebook page. For example: “Welcome to Judy of Gisborne holding her Neighbourly Morning Tea on Saturday 22nd October”. You can hold your event when you wish over Labour Weekend 2016 – it does not have to be in the morning! On Sunday 11 September, the Chinese New Settlers Services Trust (CNSST) held their annual Chinese Moon Festival celebration in Auckland. Also known as the Mid-Autumn Festival, the event is one of the most important holidays in China and is recognised and celebrated by Asian communities around the world. The festival serves as an occasion for friends and family to gather in celebration of the fall harvest and to pray for longevity and good fortune. Melissa Lee, Parliamentary Private Secretary for ethnic communities attended the event on behalf of Honourable Peseta Sam Lotu-Iiga. It was a vibrant community gathering which brought together more than 150 members of the public representing various diverse communities to celebrate the traditional values of the harvest festival and to learn more about its significance. 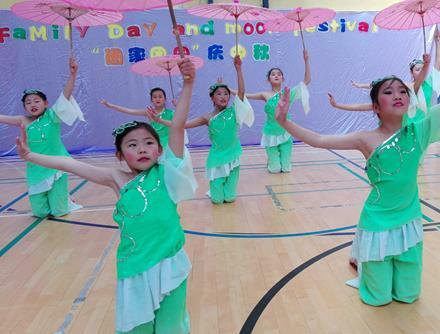 The event showcased a variety of local acts, including children’s performances, lantern handcraft, moon cake demonstration and Chinese cuisine. Along with Stella Chan, Vice Chair of the Chinese New Settlers Services Trust, the Office of Ethnic Communities presented an award to winners of the New Migrants English Speech Contest. What challenges do we see in our everyday lives? What kind of future do we want for Aotearoa? What can we do now to safeguard the future? The forum featured a range of diverse and inspiring speakers who addressed the above questions. 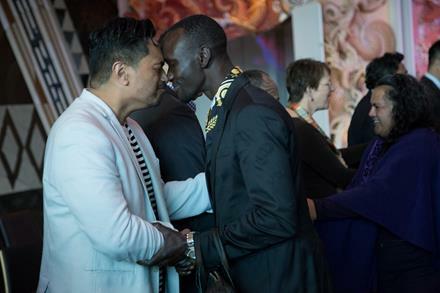 The keynote speaker Deng Adut held the breath of the audience as he told his heartfelt story proving that humanity can always triumph over inhumanity. Deng Adut said that racism is a disease and needed to be eradicated and that people needed to be empowered to rise to this occasion. Race Relations Commissioner Dame Susan Devoy said the commission's aim was a New Zealand with zero tolerance for racism. Mainstream media tends to portray an inaccurate light on ethnic groups and we can change that now. Dame Susan Devoy launched the ‘That's Us’ campaign which is a platform to share stories of racism in order to have people listen and talk more openly about racism. Many speakers had great quotes, one that caught the attention of many was from Palmerston North Boys High School’s Head Boy, Te Ariki Te Puni when he delivered the speech that won this year’s National Race Unity speech competition; “The best pathway forward is accepting that we are all equal because we are all different”.